Joint compound is a versatile substance that is easy to work with. It dries within about an hour and it is water-based, which means that you can thin it for different applications. 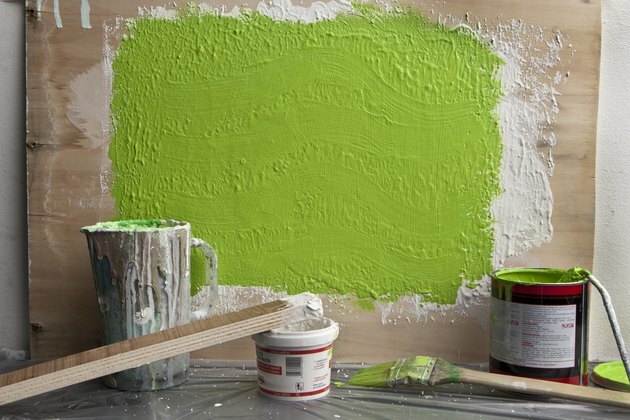 You can apply it to a wall to create a variety of textures; you paint the wall when you are finished. 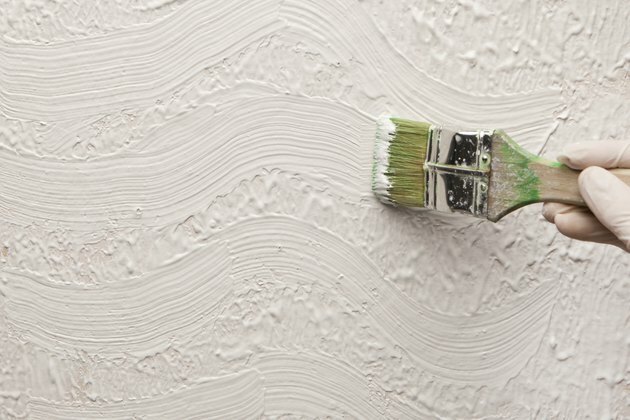 There are many styles of texture you can add to your wall, but the method of applying the joint compound is similar for most of them. 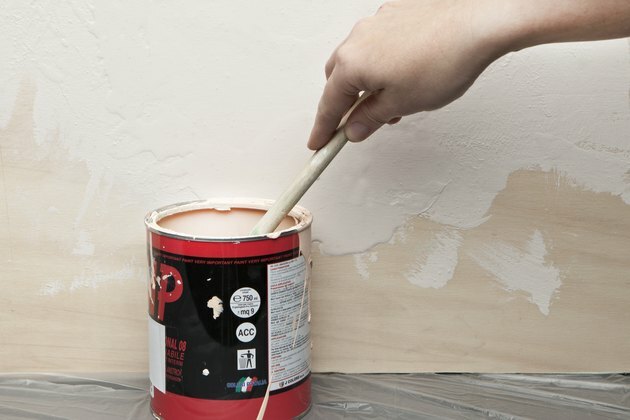 Prime the wall that you want to texture to create a surface that keeps stains from bleeding through and that holds the texture in place evenly. You can use oil-based or latex primer. Let the primer dry according to the manufacturer's directions. Place a gallon of joint compound into a 5-gallon bucket, and add just enough water to make it more like a thick paint or pancake batter. 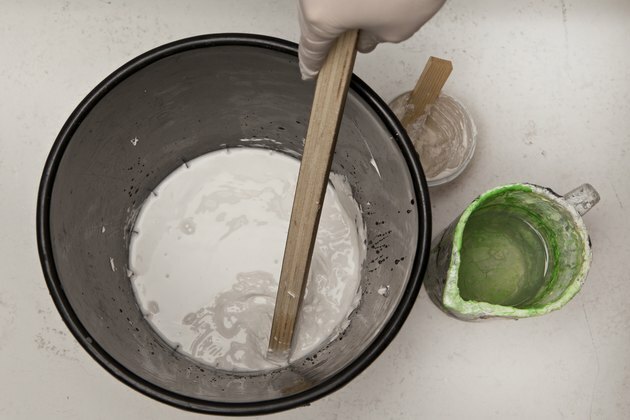 Add 8 ounces of water to start with, and stir thoroughly with a wooden paint stick until the mixture is smooth. Add more water a few ounces at a time until you have reached the proper thickness. 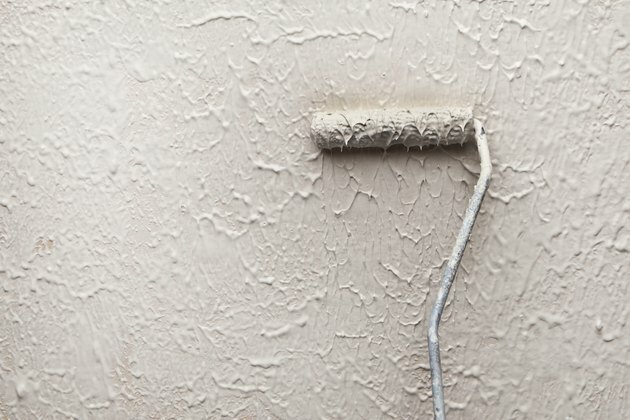 Dip a 4-inch-wide paintbrush into the joint compound, and paint the wall with a heavy coat but without getting any runs. You also can use a paint roller with a thick nap; just make sure you apply enough to get a good texture. Drag the paintbrush across the surface to create swirls or whatever design you like. Make the layer about 1/16 of an inch to keep it from cracking when it dries. Let the joint compound dry for 24 hours. 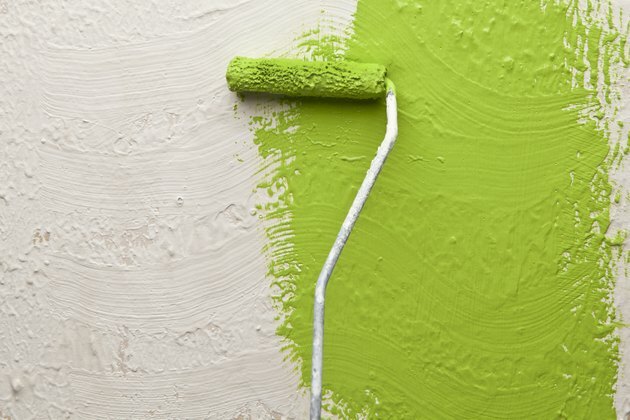 Paint with the color you like, using a thick-napped roller to get into the texture of the wall, drying between coats according to the manufacturer's directions.